Sparkly sequin stickers, mazes, puzzles, flying horses, baby birds. Happy-ever-after in book form. Who can resist those sparkly stickers? 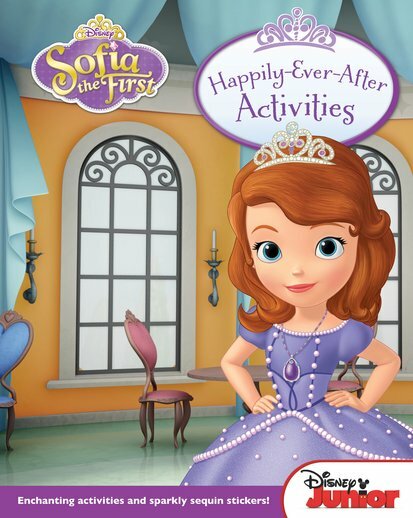 We think Sofia is the perfect inspiration for young princesses – and princes too. She’s smart, she loves adventures and she always plays fair. Nice work, Sofia. But what’s it really like in her fantasy world? Now you can find out. Complete magical missions, explore mazes and solve pretty puzzles in the palace. How happy does that make you?